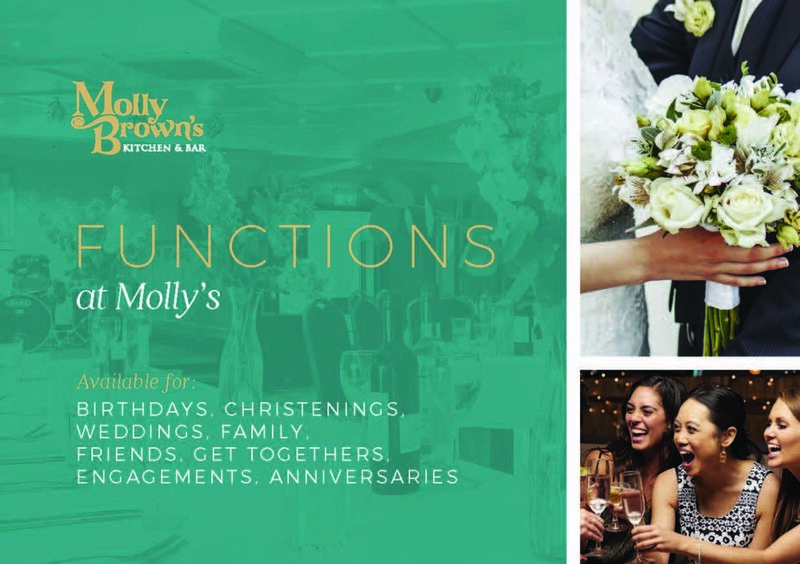 Thank you for considering Molly Brown’s to host your special event. Our recently refurbished Function Room can host up to 160 people (110 for a sit down meal) comfortably, and our Management team will be flexible and work with you to ensure that the party style you choose is perfect for the ambience you wish to create. You will have your own private bar, private entrance, entertainment for your guests alone,which we can organise, and the right food offering for the occasion which you may choose from our range of menus. You can expect a friendly, helpful, knowledgeable service from all our staff, and we will work together with you to ensure that all of your guests have a wonderful time. Whatever the event, we will make it one to remember.